Justice Thottathil Bhaskaran Nair Radhakrishnan, Judge of the Kerala High Court, appointed as Chief Justice of the Chhattisgarh High Court with effect from the date he assumes charge of his office. Justice Hemant Gupta, Judge of the Patna High Court, to be the Chief Justice of the Madhya Pradesh High Court with effect from the date he assumes charge of his office. Justice Rajendra Menon, Judge of the Madhya Pradesh High Court, to be the Chief Justice of the Patna High Court with effect from the date he assumes charge of his office. 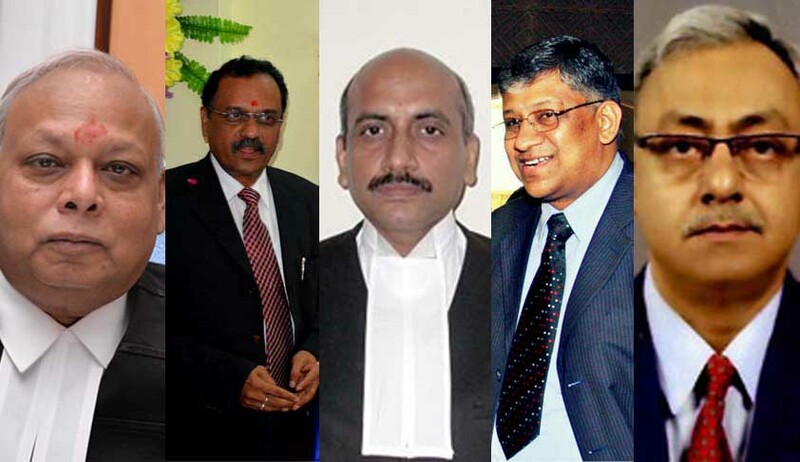 Justice Pradip Kumar Mohanty, Judge of Jharkhand High Court, to be the Chief Justice of the Jharkhand High Court with effect from the date he assumes charge of his office.